Los líderes de Villa Sin Miedo establecieron una cocina comunitaria en su centro comunitario. La cocina comunitaria comenzó en octubre de 2017 y servían de 50 a 60 platos para el desayuno y el almuerzo todos los domingos a los miembros de la comunidad y amigos. Actualmente la cocina comunitaria está abierta para eventos organizados y / o la visita de brigadas. 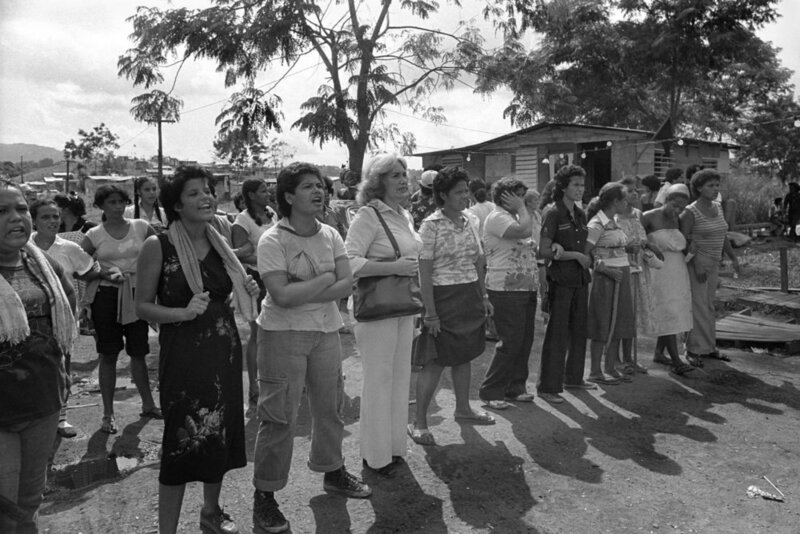 Villa Sin Miedo leaders established a community kitchen in their communal center. The community kitchen started in October 2017 and they were serving 50 to 60 plates for breakfast and lunch every Sunday to community members and friends. Currently the community kitchen is open for organized events and/or the visit from brigades. Part of the community still without electric energy. After negotiations with ODSEC (special communities) and the Municipality of Canóvanas, the community obtained exemption from the use permits so that 32 families could legally put electricity into service. Still need to fix a post. The community continues to light their houses with solar lamps and the Center still depends on generators. They want to obtain funds to have photovoltaic energy in the Community Center.